Discussion in 'Pokémon Role Play' started by BurnKirby, Dec 26, 2010. OOC: My first Post/RP. The rules are below. -Each character must be a Pokemon. -Read the Official RP rules before joining. -Read through the discussion thread before joining. Notice: I am currently not taking requests to join this RP. In other words, requests are CLOSED. However, if you wanted to join, don't panic. This RP will be open again at some point. I just want to keep the number of players small for now. Update (please read): A discussion thread about this RP has been opened up in the PRP discussion board. For now, post any requests or questions about this RP there. I would prefer notices about joining be posted in the discussion thread, but if you would rather PM me, that works too. Thank you! "Um... Hello? Are you okay? ... Please wake up!" Timothy slowly opened his eyes. Where am I? he wondered. He looked around. He was in a small opening in a forest. The light was bursting in from all around. It stung his eyes a little at first, but they soon adapted. Timothy got up and looked around. There was a small pond off to the side. Aside from the Mudkip standing in front of him, there was no one around. Who was calling me? pondered Timothy. Without warning, the Mudkip opened its wide mouth and began to talk. "Are you okay?" it asked. Timothy stood there, stunned. Did that Mudkip just talk? He asked in his mind, Nah, he could't have. Mudkip don't talk. "Answer the question." urged the Mudkip. "Umm...," mumbled Timothy, unsure if he should answer. "Y-yes." "That's a relief," sighed the Mudkip. "How can you talk?" pondered Timothy, "Pokemon don't talk." "That's odd coming from a talking Chimchar." replied the Mudkip. "I'm a Chimchar?!" blurted Timothy in a loud tone. "You certainly look like a Chimchar from every angle," said the Mudkip as he circled around Timothy. Timothy gently pushed the Mudkip aside as he dashed to the pond. Timothy leaned over and watched his reflection. He saw the face of a monkey-like Pokemon with a small scrape on his left cheek stare back at him. He splashed the water to make sure he wasn't just looking at a Chimchar that had fallen into the water. When the water stopped moving, Timothy saw the Chimchar's reflection again. I really have become a Chimchar! Thought Timothy. He looked over at the Mudkip. He wasn't sure what he should do now. I might as well introduce myself, Timothy decided. “My name is Timothy. I think I’m a human that somehow ended up in some Pokemon world.” Timothy wanted to give more information about himself, but suddenly, he realized he could't remember any details about his life as a human. Did I get head before transforming into a Pokemon? pondered Timothy. “By yourself?” asked Kip, seeming a bit nervous. “You can’t go off by yourself.” blurted Kip, concerned for Timothy. “Because of the demon Pokemon.” mumbled Kip. “Because of the what?” wondered Timothy. “What should I do then?” asked Timothy. “What’s that?” wondered Timothy, not sure he wanted to find out. “Alright!” cheered Kip, “Let’s go!” Kip grabbed Timothy with his tin fin and the pair of Pokemon began to run out of the sunlit forest. Soon, they were out of the trees and in a small town paved with stone. Timothy could barely see anything as they ran rightward. He did manage to eye a few shops. They were selling various goods, such as elixers and food. There was also a bank run by an ominous-looking creature and a place for storing supplies, which was being run by an ancient-looking shellfish Pokemon. Soon, they pulled downward into what looked like a shipyard. Kip, with Timothy in tow, ran by all the docks and ships. Timothy tried to get a good look at all the various boats. There were all kinds docked at the harbor: small boats, large ships, those bringing in supplies, others stocking up on various exports, and some just looked like they were getting ready to set sail. There were all kinds of Pokemon gathered around and on board the naval vessels as well. Some were big and burly. Others looked small and quite young to be going out to sea. There were even crane-like structures for loading containers on and off ships. It was an extraordinary sight. At last Kip stopped and Timothy presumed they were at their destination. They stood at the base of a structure shaped like a Zangoose with its arms crossed. The Zangoose structure was nicely painted like the real deal. On either side, there was a large torch and curved tubing of some sort. There was an opening in the belly of the Zangoose. Timothy looked over at Kip. He could tell he could’t wait to go inside. Charmie had be brooding about her little cave off the edge of the town when she had the instinct that something was waiting for her outside. She peered out and seeing nothing, regreted going, but went anyways. Her instincts haven't let her down yet. She walked around and finally saw two Pokemon. She didn't know whether or not to approach them. They were looking at the Zangoose Statue. She supposed they were going to go in. Charmie had never been in there herself, but she knew an awful lot. She trotted over to the two. "Hi, are you two from here?" Timothy and Kip were both looking up at the huge Zangoose-shaped statue when they heard someone ask "Hi, are you two from around here?" The duo turned around to find a salamander-like Pokemon standing behind them. She was bipedial, as orange as an orange, and had a fire going on the end of her tail. Timothy could quickly tell she was Charmander. "I'm Kip," began the Mudkip, "and I do happen to live in town. My friend, Timothy here, is..."
"New to town," Timothy broke in. He knew that Kip was going to blurt out his human origin to the orange salamander Pokemon. However, Timothy wasn't so sure if wanted random strangers knowing he was a human. He wasn't even sure if he had made the right decision in telling Kip. "Well, I'm Charmie," the Charmander stammered, trying to introduce herself. "Nice meeting you, Charmie," Timothy said impatiently, "but we really gotta get goin'." Kip opened his broad mouth to say something, but Timothy grabbed his grand head fin and began pulling him towards the entrance to the interior of the Zangoose-shaped structure. Timothy just wanted to get a boat and set sail to try to find out about his past. The less Pokemon that got involved, the better. Kip was not making his plan easy, though. As Timothy slowly marched towards the building in front of them, Kip bounced and shook, trying to get free from Timothy's grip. He had never seen Charmie in town before, and he was extremely eager to find out who she was. Evantually, Kip's fin managed to slip out of Timothy's hand, and the sudden change in weight he was pulling caused Timothy to fall over. Meanwhile, Kip, who had not expected to break out of Timothy's hand so soon, found himself flying towards Charmie. "Look out!" the blue mudfish Pokemon cried at Charmie as he tried to regain his balance. BIC: Charmie shrugged was going to turn away when she heard the scream of warning behind her. "Look out!" She looked over her shoulder to see Kip flying right at her. "Whoa!" she cried as they both tumbled over. Her rear hit the ground underneath her hard and she got up weakly. She looked at Kip. "Are you OK?" She got up to brush herself off. Turning to check if her tail was alright (especially the flame atop it) she looked around for Tim. He was trying to go away, but he had probably noticed Kip trying to escape his grasp. Another thought came to Charmie. Why were they leaving so soon? She wanted to talk to them, and maybe make some new friends! Charmie had never really had friends before, she wasn't exactly social. Just her books to keep her company at her small hideaway, but they were company enough. And back to Timothy. Something about him was a little weird. The Chimchar looked the same and all, but what was wrong? His patterns were OK, he talked normally, then what was it? Charmie brushed these thoughts off. She was probably just daft from staying in her hole too long. OOC: So, is that a long enough post? BIC: Timothy pushed himself up, dusted himself off, and looked behind him. Kip had crashed into Charmie, and the two of them were getting up. Then he noticed Charmie giving him a strange look. Why is she looking at me like that? he asked in his mind. This is getting akward. I need to get Kip and get inside that Zangoose... thing. Before any of the three, young Pokemon could do anything else, they heard some shouting coming from inside one of the curved vents in front of the Zangoose structure. "What's goin' on out there?!" the voice boomed. Timothy, Kip, and Charmie all watched as a firefly-like Pokemon flew out of the vent on the right of the Zangoose structure. He was rather round, had a gray and yellow striped pattern on his body, and looked like he had some form of red hair on the back of his head. The round firefly Pokemon's appearence was soon followed by a graceful voice coming from the vent on the left. "What is it, darling?" said the voice. Then another firefly-like Pokemon flew out of the left vent. This one was slimmer than the first, looked like she had purple hair, and had a yellow pattern right below her head that resembled a bib or collar. "We got some noisy street perfomers making a racket out here!" the rounder firefly said. "Street performers?" the slimmer of the two replied, "I absolutely ADORE street performers!" "Excuse me," Kip spoke up, "Who are you two, exactly?" "You don't know, darling?" the female Pokemon exclaimed, "Then we absolutely must introduce ourselves!" "I'm Vobeat!" the Pokemon on the right shouted. "I'm Illumise!" the Pokemon on the left said with passion. "And we're the dojo lookouts!" the duo finished together. "Well, I'm Kip," the Mudkip began his introduction, "the Chimchar right in front of you is Timothy, and the Pokemon standing next to me is Charmie the Charmander, and we're not street performers." "You're not?" Illumise said with disappiontment. "Then want do want?" Volbeat replied inpatiently. "Well," Kip began, approaching the lookouts, "me and my friends here were interested in forming an exploration team." Friends? Timothy questioned in his head, As in more than one? I thought Kip and I were the only ones applying, unless... Timothy looked around at Charmie. Is he including Charmie as well? "So that'll be all three of you?" Volbeat checked. "Yep!" Kip answered with joy. "Then go right on in!" The round firefly Pokemon replied, sounding a little less annoyed. With that, the firefly pair flew back into their respective vents, leaving Timothy, Kip, and Charmie to head into the dojo. As Kip and Timothy headed into the dojo, Timothy couldn't help but feel unsure about letting Charmie tag along. Then again, if the "Denom Pokemon" Kip had told him about were real, then it would probably be safer to travel in a larger group. As Kip marched excitedly inside, Timothy stopped at the entrance, hesitated, then looked around at Charmie, who had not moved a single step. "Are you coming along or what?" the small monkey-like Pokemon asked Charmie. Draco the snivy wasn't the bravest Pokémon in the book in fact he was shyer however there he was trying to grab a little stone from some Tentacool.... “Hey that’s my treasure give it baaaack!" Man if I don't get that back it might be lost for ever“That’s it I have no choice I guess I have to fight EVEN IF I DON'T WANT TO HAAAAH! Razor Leaf! ” As soon as he does this Draco, quickly grabbed the stone from the Tentacool. Okay I did that now what? Uh! Uh oh I forgot about the tentacool oh boy they look mad! "Um.....bye." Then soon Draco was off running. He ran as fast as he could and kept running until he ran into something he hurt himself pretty badly but he thought he lost them instead he was in front of an Orange Pokémon he couldn't tell anything except that it was orange everything else is a blur. The Last words he could mutter were don’t- Don't take my Ivy Stone. Then he passed out. Charmie was glad when Kip had said 'friends', meaning he had included her. "Are you coming along or what?" Timothy said. Charrie nodded and trotted along after him and Kip. When they entered, Charmie halted. The dojo was spectacular! Every inch was clean (much like her little rock of a home), and decorations were put up in the corners, such as traditional Japanese lanterns in colors from the familyes of reds, pinks, and blue with flowers, fancy red vertical banners with Japanese characters sewed in gold thread on the patterned silk cloth, and tall ceramic vases with flowers. The main part of the room was a bamboo matting, with mats and pillows at the border. The firefly-like Pokemon flew over to a table that had many scrolls on it, and turned to face them. Behind them was a painting. Possibly of a Japanese pagoda. Charmie raced to catch up with Tim and Kip, whom, she had just noticed, were far ahead. Hi Pokewin. I'm afraid Gen V Pokemon are not allowed in our RPs right now, and even if they were, you're not allowed to play as a legendary in a PMD RP. I suggest you read the rules of the site and the RP forum before making any more posts. This is an unofficial warning. Also, please do write better. If you wouldn't want your English teacher to see it then neither do we want to see it. BIC: As Timothy stepped into the dojo, he immediately noticed the softness of the floor and breifly looked down. The floor was covered with grass to give the dojo a natural feel. After looking back up he noticed the glorious scenery of the dojo. The walls were lined with japanese lanturns of many shades of red, pink, and blue. The lanturns with decorated with floral designs and japanese symbols, of which he could not comprehend. There were also four large banners, two on the left and right "sides" of the rounded room. The banners depicted powerful looking creatures that looked like they could only exist in legend. There were also several groups of Pokemon hanging around. Most of the teams consisted of strong, experienced looking Pokemon who had done years of exploring. They seemed to be sharing tips on exploring and stories of fantastic adventures. Maybe someday, I'll have fun stories to share... dreamed Timothy. He quickly dismissed the thought, remembering that the reason he had agreed to become an explorer was so he could find out how to become a human again or at least find out why he had become a Pokemon. As he came to the far side of the room, he noticed a counter made of stone, and floating behind it were the lookouts, Volbeat and Illumise. They must run the reception desk as well, analyzed Timothy. Timothy looked around for a breif moment. There was a descending staicase off to the right, most likely for accessing lower floors within the dojo, and Kip was standing on his left. "Well if it isn't the street performers!" Volbeat joked. "Just ignore him, dears," Illumise said, as if predicting a sarcastic remark. "We already cleared things up for you, dearies, so climb down the stairs to the right and meet with the boss." "The boss' room is on the bottom floor," Volbeat continued. "The door is big and fancy. You can't miss it!" "Thanks!" Kip siad as he walked around Timothy and towards the stairs. "Let's go!" Timothy began to trod towards the stairs, when he remembered Charmie. He looked behind him and noticed the orange salamander Pokemon rushing behind them, trying to catch up. When the trio were assembled, they headed down the stairs. When they came to the bottom of the first set of stairs, Timothy, Kip, and Charmie looked at the room around them. It was a large room made entirely of wood, giving the room the feel of an offentic dojo. There were several large, white rings painted on the floor, signaling areas where Pokemon were suppose to spar in. In the ring in the far left corner were two Pokemon having a battle with each other. After taking a moment to take the lay out of the room in, Timothy began to walk towards another set of descending stairs to the left. He looked behind him to find that Kip and Charmie were watching the battle, memorized by the powerful and colorful moves the adversories were launching at each other. "C'mon you guys" Timothy shouted towards his companions. Kip and Charmie snapped out of their trances and came running down the stairs. As the trio of aspriring explorers stepped unto the last few steps of the second set of stairs, they looked around the new room. There were no more stairs, so they presumed this was the bottom floor. Timothy took a few steps forward and noticed that this room, like the room two floors above him, was covered in grass. Off to the far side of the room was an endless hallway lined with numorous doorways. Over to right was another entrance of some sort. What really got his attention, however, was a large door on his left. It was a white, rounded, double door with a brown archway. The face of a Zangoose was painted on the doors, and a silver-colored statue of a Zangoose stood on either side of the door. I wonder who runs this dojo, Timothy thought sarcasticly. He turned his heads over towards his companions and, from the looks on their faces, figured that they had noticed the dojo's boss' narcistic personality as well. Not wanting to wait any longer, Timothy dashed over to the Zangoose-themed door and marched inside. The room Timothy came into was fairly small compared to the rest of the dojo. However, that didn't mean it wasn't nice-looking. The floor was covered in grass, like most of the dojo. The wall on the right was covered by a banner picturing a magnificent bird-dragon creature. The left side of the room held a large chest that was most likely full of treasure, but that was a just a guess, since the chest was closed. On the side far of the room, a Zangoose, probably the boss of the dojo, stood behind a stone counter. He was looking at posters pinned on the wall. "Excuse me," Timothy spoke up. The Zangoose turned around in response to Timothy's call. "May I help you?" the Zangoose asked, wondering who the visitor was. "We want to form an exploration team!" replied Kip as he dahsed into the room. He was followed by Charmie. "Oh! You must be the want-to-be explorers!" Zangoose realized. "In that case, I'll just need a little information. First of all, what are your names?" "I'm Timo...," Timothy began, but he was cut short when he, as well as everyone else in the room, heard a loud thud. "What was that?" Kip questioned, concerned. "Just ignore it," Zangoose assured the blue mudfish Pokemon. "It's probably just some battle in the Training grounds. They can get kinda noisy sometimes." "BOSS!" screamed a voice from behind them. Timothy looked behind him to see Volbeat fly into the room. "What is it?" Zangoose asked, slightly annoyed. "A couple of morons just started a fight in the top floor!" Volbeat shouted. "What?" Zangoose yelled as he slammed his paws on his counter. "Okay, I'll be up in a minute." Feeling reassured, the firefly Pokemon flew out of the room. Zangoose turned his attention back to the trio of Pokemon in front of him. "Sorry, kids, but I have to take care of this. Just stay here, and I'll hopefully be back soon." The white, cat-like Pokemon then ran around the counter and dashed out the room to solve the problem. BIC: Draco then realizing what he had done got down on his hands and knees Draco then said I am so sorry please forgive me you stepped on my tail and I must have reacted with the Grass Mixer I am so sorry. The Graveler baffled at the little Pokémon before him hit him with such force. However Graveler soon came to a decision. The Graveler then spoke "kid you don't want to mess with me for that I will make you eat my dust". Draco first had to think about what to do in this situation. Then before he knew it Graveler was letting out a battle cry and began Charging at Draco. Graveler then screamed "here kid think your so tough taste some Mega punch." Before Draco could react he was slugged right in the Jaw and was sent flying. Draco then began to think okay so its obvious my words won't reach him so I guess that leaves-Draco's thoughts were interrupted by another scream from Graveler "well how is the weather up there here don't worry I will bring you back down with Rock Throw!" Soon Draco was hit by several Rocks. Purged into his thoughts once more okay no more thinking now is a time for acting . However Soon began to regret thinking again for this time Graveler was going off again "well kid I am surprised you made it this far here I will make the pain go away with Rollout!" This time Draco knew this was going to hurt he didn't have enough time to fight back but he could at least prepare himself for the pain. WHAM! The next thing you know Draco goes flying again. Draco then was ready Graveler then screamed “fine I will fight back just to shut you up taste some Razor Leaf!" Then Graveler was hit by the leaves Graveler spoke with confidence "kid you don’t stand a chance, here it comes Rollout" then Draco with his head held high began to dodge Graveler's rollouts with his Speed Seed. Eventually Draco became too tired to move anymore but Graveler was still charging at him with Rollout Draco shut his eyes he was positive he was finished. But then a voice said "STOP!" When Draco opened his eyes all was still and Zangoose was approaching them something told Draco that he was in trouble. OOC: Yeah, it was, I got lost in it XD. BIC: Charmie walked up to the door from which the Zangoose had just exited. She suddenly ran back. Her companions suddenly knew why. The thick smoke from an explosion seeped through the door. Charmie gagged the dust put out the smallest bit of the flame on her tail. She fled back to the door to slam it shut. OOC: Sorry for the 'short' post. BIC: Draco realizing Graveler didn't stop, had no choice but to end this once and for all with what he had because Draco knew if that attack hit him he would be finished. Draco then spoke "I know I should stop so I will end this now with my Grass mixer!" Just as the Attack was released Graveler hit him causing the energy within the Grass Mixer to explode. Draco and the Graveler went flying in two different directions and out of the corner of his eye Draco saw a Orange Pokemon with a Flame Tail on the stairs he didn't know who of course. Soon the smoke covered everything up. He couldn't see or very well breathe but saw the outline of Zangoose approuching him. Zangoose spoke "shouldn't you be playing somewhere else?" Draco couldn't hear it very well but took it as a get lost and don't cause anymore trouble. Soon Everything was going black, Draco slowly began to sleep however he did manage to speak before he completely went completely under he said "so that is how it feels the victory of battle and the adrenaline of doing your best at high stakes I know what I will do now I will become an Explorer at any cost Even If I have to beat 10 gravelers to do it." OOC: BlackAmber, I think you are improving, but I think you have a problem with run-on sentences. Also, the dojo leader is Zangoose, not Zigzagoon. BIC: Timothy couldn't take the tention anymore. He had to find out what was going on. He swung open the door and ran out towards the stairs. As he began climbing the steps, he heard Kip call out to him. "Where are you going?" Kip shouted from Zangoose's office. "I'm going to find out what's happening," the chimp-like Pokemon replied to his friend. Before Kip could say anything else, Timothy preceded to climb the steps. He dashed up the bottom set of stairs into the trianing grounds and continued up the upper set into the top floor. There, he was met by a torn up room, though it was hard to tell through all the smoke. Soon, the smoke cleared, and Timothy could get a better view of the room. There were several craters in the floor and on the walls. Some of the lanterns that had once decorated the walls now lay on the ground, completely torn up. Most of the Pokemon in the room stood near the entrance, as if prepared to leave at any second. Off to one side of the room stood a large, boulder-like Pokemon with four arms. Timothy recognized it as a Graveler. The Graveler was barely standing, and he was clearly exhausted from his fight. On the other side of the room, another Pokemon, probably the Graveler's opponent, lay unconscious. He was a slender snake-like Pokemon. However, unlike any other snake, this Pok emon had arms and legs. Timothy thought he heard the snake-like Pokemon murmer something, but he couldn't quite make out what it had said. In between the adversaries stood Zangoose. Though he couldn't tell with Zangoose's back turned to him, Timothy was sure he was ticked off. Timothy turned his head over to the reception desk. Volbeat was hovering next to him, his eyes locked on the destruction caused by the battle. "What happened?" Timothy whispered towards Volbeat. "Well," responded Volbeat, turning his attention towards the Chimchar, "a battle just broke out in here. Not sure why, though." "Who are those guys?" Timothy asked softly, trying to avoid necessary attention. "The rough, rocky guy over there," Volbeat began, pointing at the Graveler, "is Smash the Graveler. He's part of an exploraration team known as Team RockRoll. He's extremely short-tempered and will often end up in fights if his leader isn't around to supervise him." "The smaller guy is Draco the Snivy. He lives in a forest between here and a nearby town known as Treasure Town. He comes here on occasion to check out the exploration teams. He doen't have anyone to actually form his team with, though." Timothy turned his attention back to the center of the room to find that Zangoose was giving a stern-talking to Smash and was threatening to ban him from the dojo. After finishing his talk with Smash, Zangoose turned his attention to Draco. Timothy watched as Zangoose galumphed over to Draco, examined him, then marched over to Volbeat. "Volbeat," Zangoose began commanding his subordinate, "go tell Nurse Chansey to get up here and take care of Draco. I have other things to take of." "Right away, boss!" The rounded bug Pokemon swiftly soared down the stairs. "Huh?" Zangoose stammered, noticing Timothy. "What are you doing up here?" "I just wanted to see what was going on," Timothy answered shyly. "Well, let's get you back downstairs so we can finish that business of ours," Zangoose said, now with more glee in his voice. The two headed back down the stairs. Before making his way down, Timothy took one last look at Draco. I hope he'll be alright... he thought. Timothy quickly shook the thought out of his head. What did he care? It wasn't any of his business. Timothy quickly, but carefully, dashed down the stairs to join his team in Zangoose's office. Draco began to feel the clouds of dreams coming to him. He felt great pride in his accomplishment. After all he did almost beat Graveler. Still he was injured and then he felt something lift him up he managed to see Nurse Chansey carrying him. Probably to the infirmary he didn't know. Soon everything went black again. Then he dreamed he dreamed of the battle he and Graveler had. Then it all turned to him being full of doubt could he really become an Explorer? Then his dream became a nightmare flooded with Graveler's words. The voices, the words continued to say “you’re not good enough” or “you don’t stand a chance” soon Draco had enough he screamed. When he finally opened his eyes he was in a bed within the infirmary. Chansey then approached him and said "oh goody your awake I hope your feeling better". Draco still confused began to get up but felt a searing pain in his back. Chansey not very shockingly said "I am glad you are feeling better but we are keeping you here for the night so you may make a full recovery!" Draco decided he had nothing to do so he decided to go back to sleep. Draco felt it was going to be a lonely night. After all no one was going to visit him. So he then went back to sleep and continued dreaming. OOT: If anyone wants to meet me, do it. BIC: Draco awoke to hear Chansey had fallen asleep Draco took this opportunity to leave so he quickly wrote a note it said " Dear Chansey thank you for your hospitality however I feel better I am going away far away somewhere I might find someone to help me form an exploration team. Be he or she big or small strong or weak I know we will make a great team and with this I say goodbye to you and the town and all the other pokemon in it because I don't know when I will return. Even if I do find that someone fast I will want to train and perfect our teamwork. Now I no longer have anything left to say so.....goodbye. 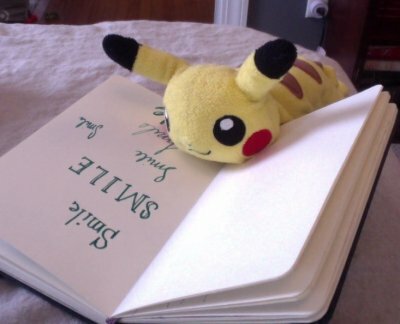 -Draco" after he finished writing he put it on Chansey's desk. Then Draco began to leave the Dojo he said goodbye to the confused fireflies who were curiously wondering what he was talking about. Then he began to walk down the street when he was almost at his tree he met up with a familiar Pokemon. The Pokemon approached Draco who soon said "whats up baby had a nice nap." Draco soon replied "cut it out Graveler your the last person I wanna hear this from." Graveler then just started to play saying "ooooh I am so scared." Draco passing by just replied "you are the only one I won't miss" then before he knew it Draco was in the forest. He finally made it to his Tree he quickly got inside and packed his things he dug up the dirt and grabbed his Ivy stone. He then began to think maybe while I am out I will find out what this is for. Then he left and began to walk and he was off to the unknown he walked for about an hour until he reached the end of the opposite path to Treasure Town. Then he had a choice to make Left or Right then he finally decided it was just time to take a break. He sat down and began to eat his apple he had 3 left there was a tree nearby so he climbed up it to see how far it was to the next town but he didn't see any. It was also starting to get dark so he decided to sleep on the tree for the night. BIC: I hope Timothy is okay, worried Kip. His friend had left a couple minutes ago to see what was happening on the top floor. He wasn't sure what to now. Should I have gone with him? Is he okay? Kip's thoughts were interrupted when he heard the door open with a faint creaking sound. He turned his attention to the door to see Zangoose return with Timothy. Thankfully, he was unharmed. "What happened?' Kip asked excitedly as he rushed up to Zangoose. "It was just a Pokemon named Graveler," explained Zangoose. "He's a short-tempered Pokemon that always ends up fighting with someone." "I'll tell ya abou about it later," cut in Timothy. It was clear he wanted to get down to business and form their exploration team. "Anyway," Zangoose said as he walked behind his counter. "Where were we? Oh yeah, I was going to collect your names. Now, if you would just name yourselves." "I'm Timothy the Chimchar," Timothy stated. "I'm Kip the Mudkip," Kip continued. 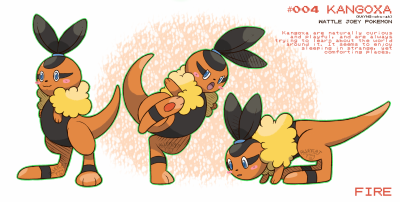 "Put me down as Charmie the Charmander," Charmie finished. "Okay," Zangoose said. He had his eyes closed, as if trying to memorize their names. "Now, I'll just need to know your team name." "Well, of course," Zangoose replied, a little surprised. "Every exploreation team has to have a team name. What is the name of your team going to be?" Timothy thought about this for a moment. I never thought about this before, the Chimchar thought. Now that I think about it, though, I guess that would be useful, but what should the name of our team be? "We shall be Team Valor!" the Mudkip exclaimed. Timothy wasn't sure about that name, but before he could say anything, Zangoose spook up. "Very well then," be said, "From this day forth, you shall be known as Team Valor! Now, I think it's about time we got to bed. You can go sleep in one of the bedrooms here in the dojo, if you like. Make sure you get plenty of sleep, for tomorrow, you must take the Explorer's Exam." "What's the Explorer's Exam?" Timothy asked, puzzled. "KIRLIA!" Zangoose called out, ignoring Timothy's question. Suddenly, a bright light filled the room, blinding Timothy's eyes. After a few moments, the light disappeared as quickly as it had shown up. Standing in the place of the light source was a green-skinned Pokemon who looked like a ballerina with a whire dress. "I would like you to take these three to any free bedrooms we have," ordered Zangoose. "Very well," Kirlia stated, accepting the task, "If you would just follow me." The ballerina Pokemon opened the door and stepped out. Timothy, though his questioned unanswered, decided to follow the Kirlia out. He was followed by Kip and Charmie. As he stepped out into the main room of the bottom floor, Timothy watched as the Kirlia slid over to the hallway in the middle of the room. Timothy and his teammates pursued. Walking down the hallway, Timothy couldn't help but look around. Now that he had a chance to inspect the walls more thoroughly, Timothy noticed lit torches on the walls. In the passing rooms, Timothy noticed various groups of Pokemon. Timothy also saw a room occupied by a Chancey and Draco, the Snivy he had seen earlier. He still appeared to be unconscious, but his wounds seemed to be healing up. When she reached the end of the hallway, Kirlia spun around to face the members of Team Valor and pointed to an entrance on Timothy's right. "This will be your bedroom for the night," she informed them. Kirlia then spun around rapidly, surronded herself in another bright light, and vanished in a blinding flash. Timothy, Kip, and Charmie walked into the bedroom. It was a small room, about the size of Zangoose's office. Aside from the straw beds that rested on the floor in a row, there was nothing intersting. "Well," Timothy said, hopping into the bed in the middle, "We better get rested up for tomorrow. After all, we do have that exam thingy to do." Timothy's friends, taking Timothy's advice, laid themselves in the straw beds next to Timothy's, and the trio soon fell asleep. OOC: this post is just a flashback so it can be ignored if you wish its just showing Draco's Dreams. Draco began to dream and in his dreams he went back about 6 months when he was on the ship and was a sailor. came into view. Then a loud shout "Laaaaaannnnd HOOO!" Draco was just beginning his sailor life and had already made a friend Feebas. She was always giving him encouragement and was braver than Draco. While the main crew went into the town to get supplies Draco, Feebas, and a couple of other new recruits were to be trained by the Captain. Yes the captain was a very cruel man he was the Great Captain Poliwrath. The Captain then Spoke in his usual Loud voice " all right! Today you grunts begin your training. We will start with about 100 Push ups...ready... BEGIN!!" The training was hard Poliwrath's training involved 100 push ups, Sit ups, Laps around the ship. Plus if you never completed the set of training you stay in your room without food. Draco had received that punishment several times. Since Draco wasn't strong enough to do all the excercises. Then after a month of this grueling training they were all to be tested. Everyone had to go and find a Elemental stone along the island and you had to come back within the time limit. Feebas and Draco both went together a little while but soon split up to cover more ground. Draco had soon found a leaf stone but decided to go after another one for Feebas just in case she didn't find one. So Draco had continued his search for several hours with no luck. Then he had only 15 minutes left to get back to the ship. He had made it to the ship with only one minute to spare however when Poliwrath blew the whistle Draco realized Feebas wasn't on the ship. Draco then looked to the island to see Feebas approaching but Poliwrath had already set the ship to its next destination. They slowly began to leave the island and Feebas was still to far. Feebas was being chased by 2 Seedots and a Nuzleaf, then when she finnally made it to the shore they caught her. Draco then began to yell at the Captain " Hey go back you still have a sailor over there!" Then Poliwrath looked over and saw Feebas and he began to laugh. He then spoke still laughing " ha ha you still ha think she is ha ha my ha sailor once you fail the test ha ha your failure leaves you to the island ha ha ha" Draco looked back to the island which was now so far away he though Maybe I can swim there. He kept his head high and wanted to go but he was to scared. he just fell to the ground crying. Then after another month of Poliwrath and Draco learning more about sailing Draco left the ship and then arrived to the town where he just left. He then Made a secret tree his home and then that moment led him to the present. Draco had then awoken to find his bag was gone he saw two Zigzagoon below the tree munching on things inside his bag Draco then used Razor Leaf on them and they ran away. Then Draco saw they ate all of his food. Draco then thought to himself Great It has been one day and I already need to go back to town already. So Draco took what was left in his bag and began to walk back to town. Before long he was in the forest when he decided to run and made it to the town within moments. Even thoe it had been only less than a day he missed this town. The next morning, Timothy awoke to his friend, Kip, shaking him violently. "Wake up, Tim!" Kip shouted with excitement, "It's the day of the exam!" Timothy rolled over onto his belly and pushed himself up. Once he was standing, Kip lashed out his tail, grabbed Timothy's arm with it, and dashed out with Charmie following right behind. Timothy and Kip dashed up the last of the gray steps into the Reception Room. Once there, Timothy took a moment to look around. Several Pokemon, including the firefly duo, were busily running around the room, working hard to repair the dojo after yesterday's scuffle, and though repairs for the top floor of the dojo were not quite finished, the hard work of the maintenance crew was noticeable. Some of the small craters had been filled in, broken lanterns had been replaced, and the walls had even begun to be repainted. "Well, look who's up!" proclaimed a voice from behind Timothy. He turned around to find Zangoose climbing up the stairs. "Are you ready for your test?" "You bet!" Kip exclaimed with confidence. Without another word, Zangoose made his way around the members of Team Valor and made his way towards the exit on the opposite side of the room, which happened to be supported by a large yellow archway with pointed protrusions to give it the appearance of the sun. "C'mon!" Kip exclaimed, dashing past Timothy, "Let's go!" Without another moment to spare, the trio that formed Team Valor ran out the sun-like archway as well. After rushing outside, Timothy briefly eyed around for Zangoose. It only took a moment for the chimp Pokemon to spot him heading north towards the docks. Timothy, signaling his friends, ran after Zangoose on all fours. Timothy and Kip followed Zangoose all the way to the end of the docks. Finally, after passing dock after dock, the feral cat Pokemon stopped next to a wooden port at the end of the harbor. Timothy, following Zangoose's lead, ceased his running as well. After catching his breath, Timothy turned his head up and slowly inspected the ship they would presumably be using. It was a wooden caravel. Though, quite small compared to some of the ships in the harbor, it was still quite spacious. There were three masts: one large one in the middle of the ship and two small ones in the front and back. All three sails were currently raised. On the prow of the caravel was the wooden carving of a Gorebyss, the Pokemon equivalent of a mermaid. Timothy turned his attention to Kip to find the mudfish Pokemon staring at the ship on awe. "This, of course," Zangoose began to explain, catching the attention of the aspiring explorers, "is the ship you'll be using for your Explorer's Exam." "Now, your objective for this test," he continued, raising one of his arms to point towards the sea, "is to sail to the nearby islets and look for a treasure that my assistant, Kirlia, hid while you were asleep." "But that could take days," Timothy complained, "or even weeks!" "Actually," Zangoose said, trying to calm the chimp Pokemon, "it only takes about half an hour to get from one islet to the next. Besides, how else are we going to test your navigation abilities?" "We need to know how to navigate?" Kip cut in, a little confused. "Well of course," Zangoose replied, "If no one on your team knows how to navigate a ship, you're bound to get lost at sea!" Crud! Timothy shouted in his mind, I completely forgot that we need a navigator! I don't know how to navigate, and Kip probably doesn't know how to, either. What are we going to do? I don't have time to learn how to navigate, but we can't leave if none of us know how to pilot a ship . . . .
Draco looked around to see if anything was going on. He decided to walk around a little bit and talked with several people. The market was full of cheerful Pokémon and they all were buying supplies. He knew nothing was going to really be going on here he would have to go to the dojo to learn some real information he ran into the Lookout as soon as he arrived. They looked at him for a second and then began to shout with shock "Hey! You’re that Snivy who was in the big commotion the other day" said Illimise. Then Volbeat soon replied "yeah I think your right Illimise he is!" Then it was Draco's turn to speak "hey you two anything really going on today?" The two looked at each other then they said together "Nope nothing at all." Draco felt a little disappointed he then thought great nothing I was hoping there would be new guys who are forming an exploration team, that way maybe I could join. Then the Volbeat said "Oh wait! There is the new exploration team taking their exam...which team were they?" Illimise butted in "Team Valor, they consist of Timothy the Chimchar, Kip the Mudkip, and Charmie the Charmander" Draco then asked "where is their exam do you know?" They told him it was to be on an island. Draco asked if they knew how to navigate but of course they didn't know. As Timothy pondered their navigator problem, he heard fast-paced footsteps from behind. Timothy turned his attention to the source of the footsteps. It was the Snivy he had seen yesterday. What does he want? Timothy pondered. The Snivy ran up to him and began mumbling something about the Explorer's Exam. Zangoose cut in and introduced Team Valor to Draco the Snivy, who happened to know a thing or two about navigation. "Do you want Draco to join your team?" Zangoose asked. Kip opened his mouth to say something, but Timothy raised his hand in front of his friend's broad mouth as a signal to stop. Timothy wanted a moment to think this over. He wasn't too sure about letting Draco join. After all, wasn't he one of the Pokemon who had damaged the dojo yesterday? If he let such a Pokemon on board, he might accidentally sink the ship. On the other hand, his team did need a navigator, and at this point, he would need to take what he could get. "Alright," Timothy finally decided, "you can come with us, but just be careful." Having made his decision, Timothy strolled onto the small wooden pier and began climbing a rope ladder on the side of the ship; Kip instinctively followed. The ship seemed rather flat aside from the large masts protruding from the deck towards the sky. At the very top of the main mast rested a crow's nest, and running up along the main mast was a wooden ladder leading up to the crow’s nest. Beside the main mast, Timothy could see a square hole in the floor, which probably led to rooms below the deck. At the very back of the wooden sea vessel was a raised part of the deck. There were a set of stairs on either side of the raised platform, which served to help passengers climb up to the back of the ship. At the front of the raised deck stood the steering wheel. After getting to know the layout of the ship, Timothy ran towards the bow and looked out at the sea. Near the horizon, Timothy could see the nearby islets that he and his team would soon be exploring. Timothy wasn't sure why, but staring at the seemingly endless ocean soothed his spirit. Has looking at the horizon like this always relaxed me? Timothy questioned himself, I wish I could remember. Timothy wasn't the only one exploring the ship. As Timothy was looking around, Kip decided to do a little exploring himself. He had seen the exterior of the ship, so he decided to head down into the interior. Stepping down the creaky, wooden stairs next to the main mast, Kip came into a small square room. From here, he could spot several doorways. He decided to peek in each room, starting with the one on the right. Kip pushed open the small door leading into the right wing of the ship. In the middle of the room beyond the small, square doorway was a large, circular sofa, and on the rightward side of the room hung several green hammocks. They had been positioned so that one floated above the other. This must be a bedroom, Kip observed. Not wanting to waste time, Kip stepped back out of the room before seeing anything else. He continued on to the doorway that lay on the opposite side of the staircase. Beyond the second door was a large square room. It was much brighter than the bedroom due to a framed skylight just above it. As he slowly walked in, Kip noticed the room was full of barrels and boxes. The barrels were stuffed to the brim with berries, fruits, spices, and many other necessities for an exploration crew on the high seas. This must be storage, Kip concluded as he continued to walk along on his four feet. When he was standing in the center of the room where the concentration of light was strongest, the young mudfish Pokemon looked up at the large, wooden frame where the light was flodding in from. He could see the very tip of the steering wheel peeking into the storage room. Cool! Kip thought, This must lie directly beneath the raised part of the deck. When he was done in the storage room, Kip swiftly jogged out into the main room, which served to act more like a hallway. He then pushed opened the door to the room that he had not visited yet. As he peeked his head in, the young mudfish Pokemon immediately noticed a small table that sat in the middle of the room. Off to the right was a short counter that stretched outward from the far right corner of the room towards the far left and near right corners. This must be the kitchen! Kip thought, excited. He had always been a heavy eater. Kip, now done with his exploring, decided to rejoin his friends on deck. He pulled his head back out of the kitchen and turned around so that he was facing the stairs; the blue quadruped dashed up the stairway, ignoring all the loud and noisy creaks. He couldn't wait to set sail! OOC: I'm sorry I haven't been on lately. What's going on? BIC: Charrie had no clue what was going on She was completly lost. It was the start of another day in Perky Pond for Luke the Lotad. Luke lived with his two younger sisters and younger brother in the pond, along with his mum. There was a forest next to the pond, where his half brother and sister lived along with his step dad. Luke was best friends with Steve, his older seedot half-brother. Or at least, when he was a seedot they were best friends. The used to go out into the forest and play. Luke had always enjoyed being on land, even though he lived in water. Steve recently evolved into a Nuzleaf and went off to form an exploration team. Luke loved adventure, so he asked his mum if one day he could form an exploration team one day. His mum said he could after he taught his oldest younger sister (if that makes sense), Lily, how to get food for the family. He had already done that, so he really wanted to be in an exploration team. It was sometimes a bit boring in the pond. Suddenly, Luke looked up at the sky and realised he was late! Whenever there was an Explorer's Exam Luke always went to see it. He quickly scurried as fast as he could to Shoreline City, it wasn't too far away from his pond, and saw he was just in time to witness the next Exam. He saw two pokemon in the team. There was an orange lizard-like pokemon with a flame on the end of its tail and a green snake-like pokemon with a leaf on its tail which Luke recognised as a Snivy. He had seen a Snivy before. "That's a small exploration team," Luke pondered. He then noticed that Zangoose, the leader of the dojo, was with them and they were all looking at a ship. Then, Zangoose noticed Luke and called him over to where he was. Because Luke had been noticed, he had no choice but to obey Zangoose. OOC: I hope this doesn't mess up any previous plans you had.